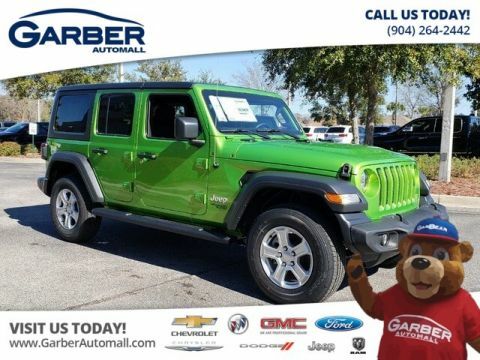 The new Jeep Wrangler JK Unlimited offers a stylish and fun ride both on and off the road. 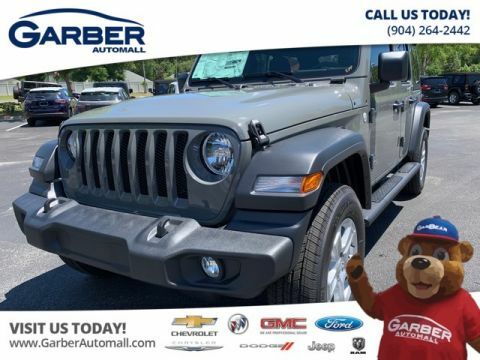 When you want a stylish vehicle that’s comfortable both on and off the roads, don’t look any further than the new Jeep Wrangler JK Unlimited. 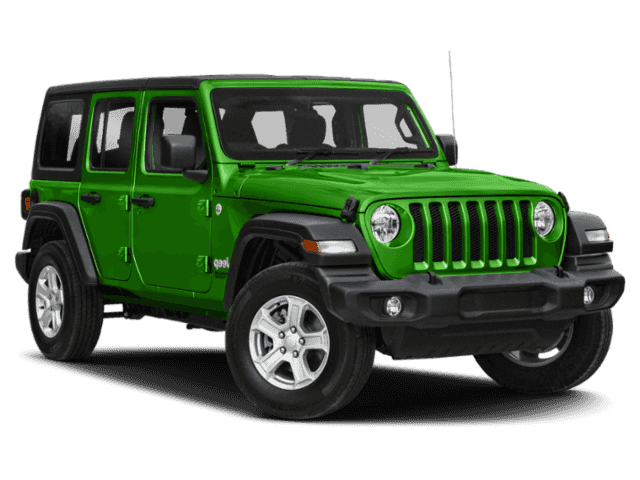 Boasting instant curb appeal, the Wrangler JK Unlimited features the iconic façade that helped make Jeep a household name, such as its boxy frame, round LED headlamps, and seven-slot grille. 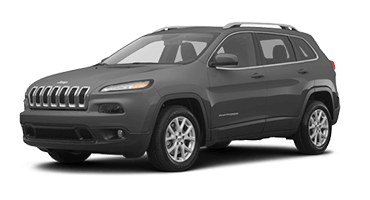 With such a rugged exterior, you’ll be surprised at how comfortable the interior is, featuring plush, heated seats, chrome accenting, and Alpine® Premium Audio. 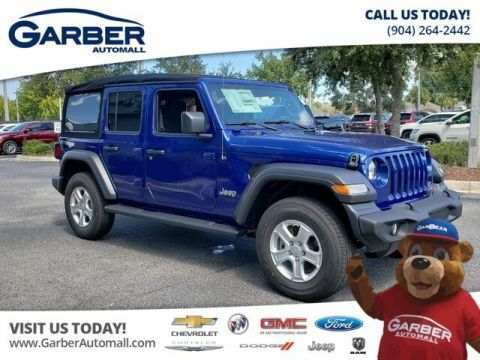 Whether you’re running errands around Orange Park, cruising through Jacksonville, or tearing up the back roads, the Wrangler JK Unlimited has all the premium styling you could ask for. 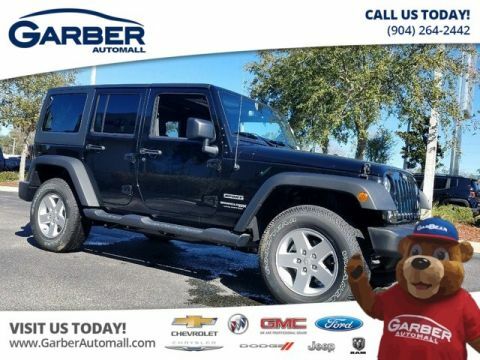 But we know the real reason you gravitated to the Jeep Wrangler JK Unlimited wasn’t just for the style, but because of its incredible off-road capabilities. Choose between two different 4×4 systems to optimize your driving experience, whether you want the tight handling of the Rock-Trac® system or the power offered by the Command-Trac system. 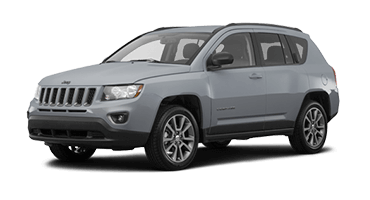 Whichever you choose, you’re getting the superior handling that could only come from Jeep. 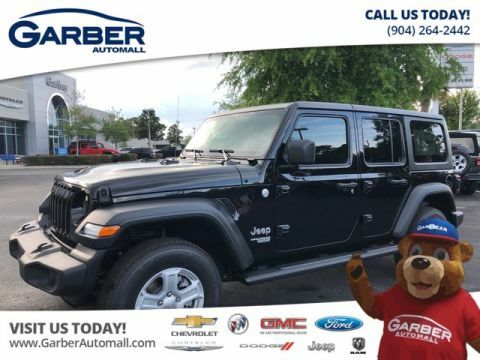 All this and more are waiting in the new Jeep Wrangler JK Unlimited, available for a test drive today at Garber Automall in Green Cove Springs. Ensure all eyes are on you in the new Jeep Wrangler JK Unlimited. 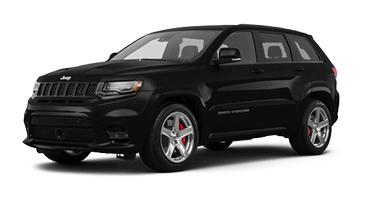 This beauty features all the rugged styling that turned the Jeep into a legend, including all-terrain tires, removable doors, and the classic seven-slot grille. Don’t worry, you’ll get use to the attention. 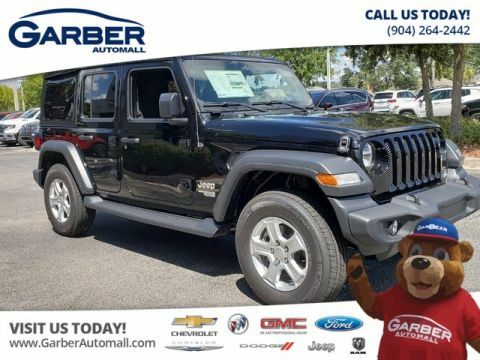 Enjoy the open road from all sides with the new Jeep Wrangler JK Unlimited, which provides you with the option to remove both the top as well as the doors to truly open up your ride. 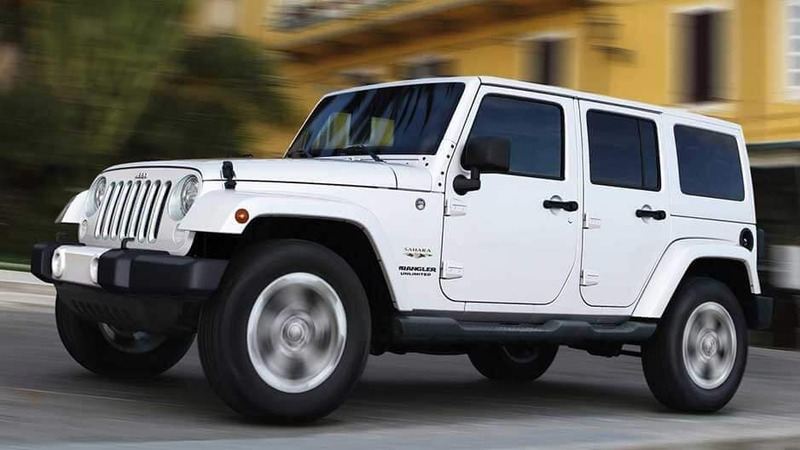 The Jeep Wrangler didn’t become famous just off its good looks, but they certainly helped. 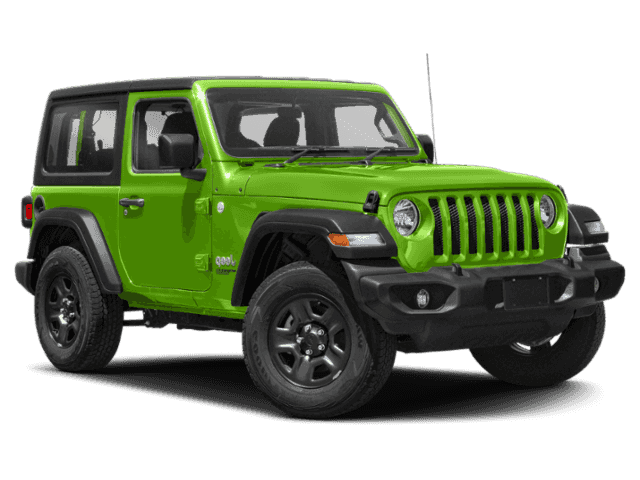 Classic Jeep aesthetic is apparent in the new Wrangler JK Unlimited, which boasts instant curb appeal with its boxy frame, athletic stance, and iconic seven-slot grille. With the new Jeep Wrangler JK Unlimited, you’ll enjoy bright, clear visibility courtesy of round, LED headlamps, a necessary part of the Wrangler’s distinctive look. These state-of-the-art headlamps cast bright light further, so you can feel safer exploring after dark. 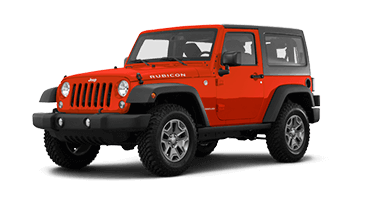 Tackle any road or weather condition in a new Jeep Wrangler JK Unlimited equipped with available all-terrain tires. 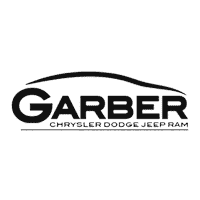 Not only do these tires provide you with added traction across rough landscapes, they also provide you with that rugged Jeep look you first fell in love with. Keep ice and snow at bay with the new Jeep Wrangler JK Unlimited’s heated side view mirrors. 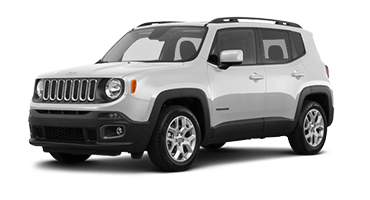 Activated in tandem with the rear defroster, you’ll enjoy clear visibility from all sides whether you’re on or off the beaten path. 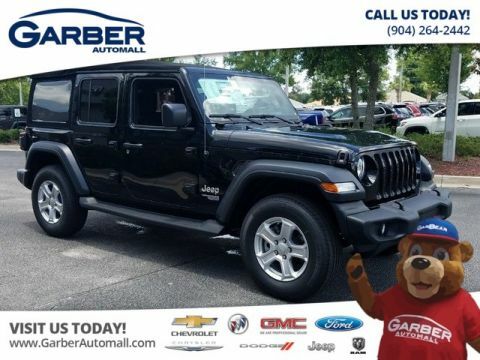 Whether you’re traversing through the back roads or making your morning commute, you can be sure that the new Jeep Wrangler JK Unlimited will get you there in style. 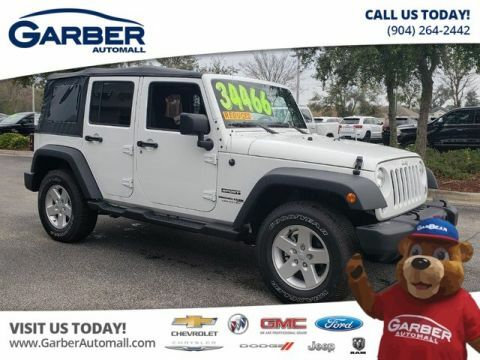 Offering premium materials, heated front seats, and a washable interior, the Wrangler JK Unlimited makes every trip enjoyable. 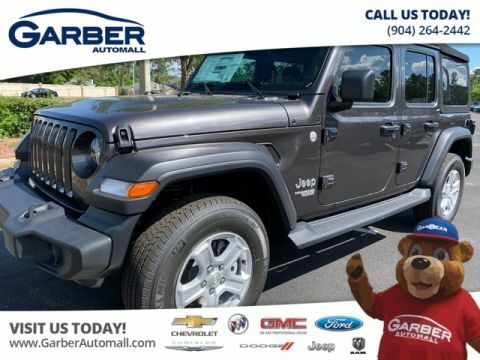 Surround yourself in comfort and luxury, even when you’re crossing rough terrain, in the new Jeep Wrangler JK Unlimited. Featuring plush leather seating, contrasting trim, and chrome accenting across the dashboard, you’re going to want to take the long way home. Chase away the chill on cold winter days with the new Wrangler JK Unlimited’s available heated front seats. Just the press of a button is all it takes to ensure you’re surrounded by warmth wherever you drive. Feel free to indulge in some good old-fashion fun in the new Wrangler JK Unlimited, which features a durable and washable interior with drain plugs. Mud and spills are no match for this impressive ride. 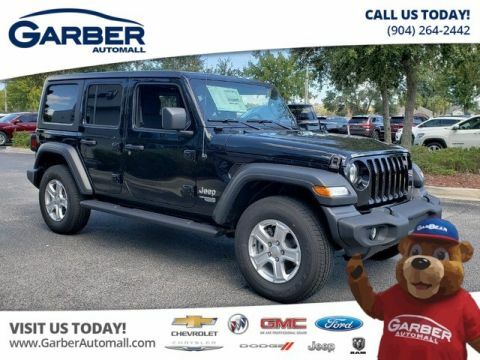 With the new Jeep Wrangler JK Unlimited, you can set your cruise control and browse through music options without removing your hands from the safety of the wheel, thanks to the Wrangler’s steering wheel mounted controls. The new Jeep Wrangler JK Unlimited knows how to optimize the space it’s been given, featuring folding rear seats, as well as a storage bin under the cargo area. For smaller items, there’s a lockable center console, so you can keep important items close at hand. When it comes to advanced technology features, the new Jeep Wrangler JK Unlimited doesn’t play around. Offering the innovative Uconnect® system as well as Alpine® Premium Audio, you’re in for a fun ride, whether you’re commuting to work or headed out on the trails. Enjoy the ability to stream your favorite entertainment right from your mobile device with the Uconnect Multimedia systems. Plug your phone into the auxiliary input jack and browse through your music options with the steering wheel mounted controls, setting the mood for the journey to come. Take your driving experience to the next level with the available Alpine All-Weather Premium Sound System. Featuring 9 speakers strategically placed throughout the cabin, you’ll be surrounded by high-quality audio everywhere you go. Never worry about getting lost again with Garmin Navigation on your side, available in the new Jeep Wrangler JK Unlimited. Access the system through the 6.5” touchscreen and take advantage of turn-by-turn directions to get you exactly where you need to be. 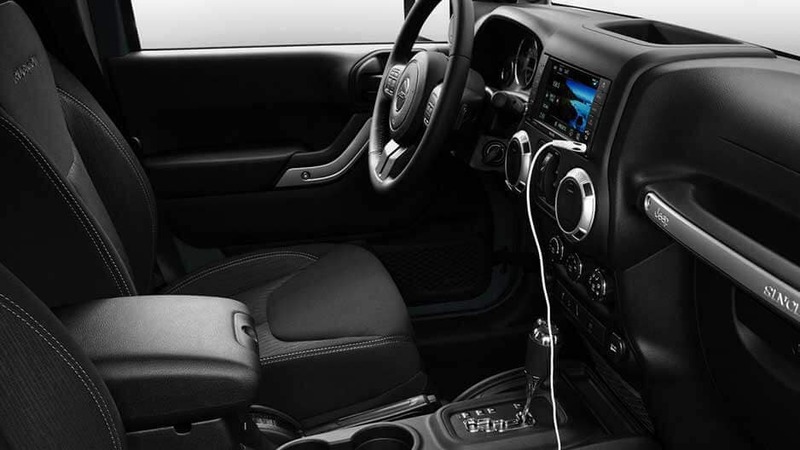 Feel free to take your favorite electronics on the road with you, thanks to the new Jeep Wrangler JK Unlimited’s available 115-volt power outlet. You can charge on the go without needing a power adapter; it’s just one more way the Wrangler JK Unlimited is looking out for you. 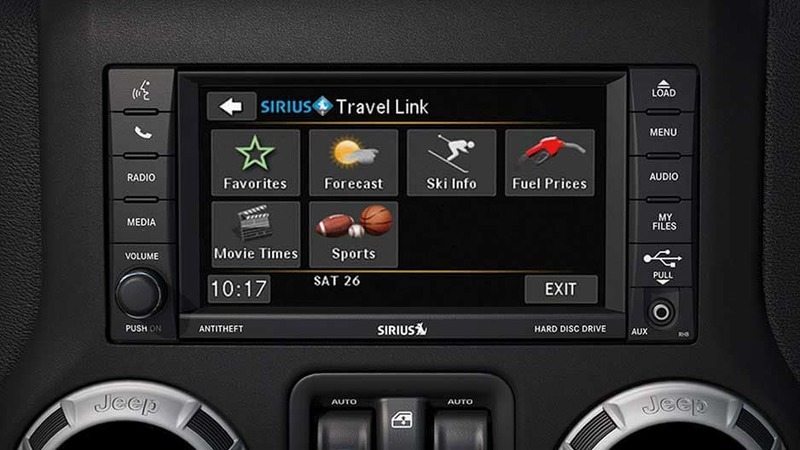 Enjoy a free 1-year subscription to SiriusXM Satellite Radio’s All-Access Package while you’re out dominating trails. Choose from over 150 channels of commercial-free music, sports, news, and so much more! Safety is no laughing matter in the new Jeep Wrangler JK Unlimited. 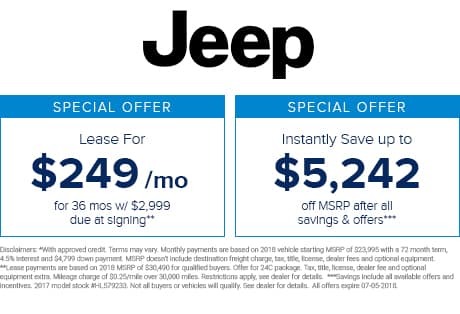 You can travel anywhere on- or off-road with peace of mind, thanks to the Wrangler JK Unlimited’s plethora of safety features, including Electronic Roll Mitigation, Advanced Multistage Airbags, and Electronic Stability Control. Let nothing hold you back. 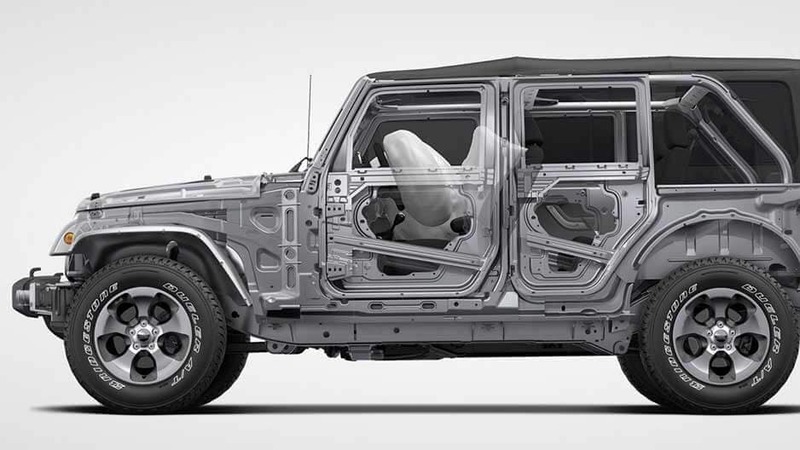 The new Jeep Wrangler JK Unlimited comes standard with Advanced Multistage front airbags, which match airbag output to the severity of the crash, providing extra protection for you and your passengers. 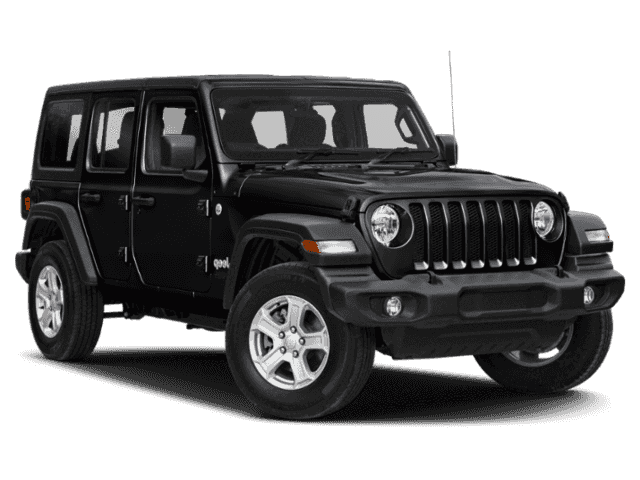 This system is designed to help you maintain control of the new Jeep Wrangler JK Unlimited at all times, even across rough terrain or during emergency maneuvers. 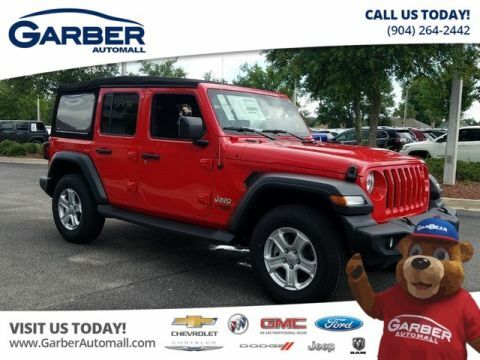 If the system detects a difference between your intended path and the actual path the Wrangler JK Unlimited is traveling, it will apply the brakes and reduce to engine throttle to keep you on track. With Electronic Roll Mitigation, the new Wrangler JK Unlimited is able to detect and prevent potentially dangerous wheel lift during severe or emergency driving maneuvers. Even across the roughest of terrain, the new Jeep Wrangler JK Unlimited has your back with the fully padded sports bar above you, in case you accidentally bounce into while exploring the great outdoors. The new Jeep Wrangler JK Unlimited features the Sentry Key® Theft Deterrent System, which makes it nearly impossible to operate your Wrangler without a valid key. If an attempt is made to drive the vehicle without the correct key, the engine shuts off completely within two seconds, preventing theft. 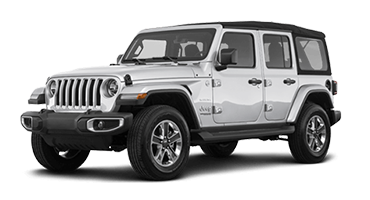 The new Jeep Wrangler JK Unlimited was designed with off-roading in mind, with a choice between two innovative 4×4 systems, a powerful 3.6L V6 engine, and Hill Start Assist. Just one trip in the new Wrangler JK Unlimited and you’ll understand why it earned a Trail Rated® Tough badge. 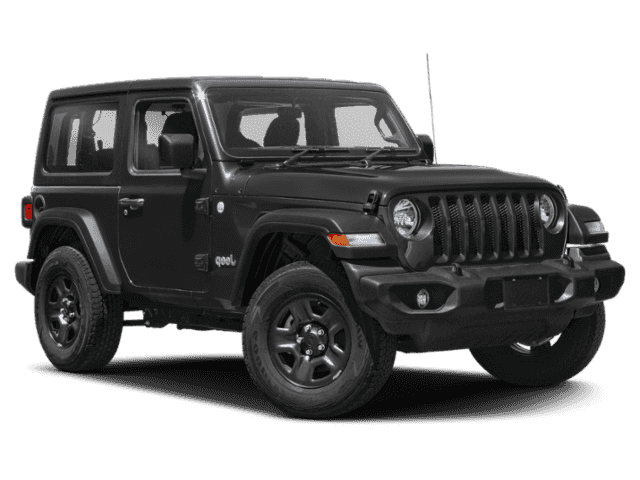 On every Jeep Wrangler JK Unlimited, you’ll find a Trail Rated Tough badge, signifying that it has been carefully tested under a variety of off-road conditions, ensuring its superior capability across rough terrain. 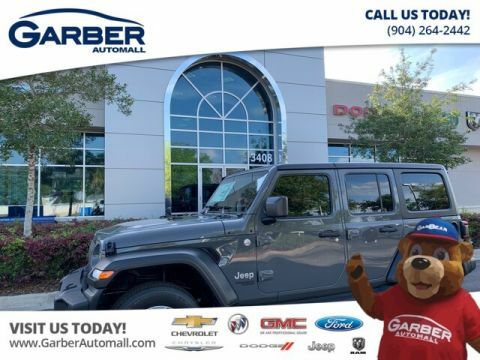 Choose between two available 4×4 systems to optimize your Jeep Wrangler JK Unlimited to how you want to drive. Maximize your off-roading power with the Command-Trac® system; or, opt for tighter control and more torque with the Rock-Trac® system. Whichever you choose, you’re getting excellent off-road performance. 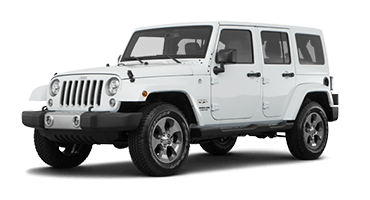 With the 3.6L Pentastar® V6 engine, you’ll enjoy both incredible power and efficiency in the new Jeep Wrangler JK Unlimited. Offering 285 horsepower and 250 lbs. of torque, the new Wrangler JK Unlimited feels at home both on and off the road. Don’t let hills stand in your way with the new Jeep Wrangler JK Unlimited. Featuring Hill Start Assist, the system will continue to apply your brakes for a few moments after you’ve removed your foot, giving you time to accelerate without worries about rolling back. And once you reach the top, Hill Descent Control helps you make your way back down, by monitoring your throttle, speed, and brakes, so you can focus on navigating around obstacles. Small creeks, streams, and deep rain puddles don’t stand a chance against the new Jeep Wrangler JK Unlimited, which can handle water up to 30” thanks to features such as a high air intake for the engine, as well as electrical and body sealing against water. Get ready to see everything the world has to offer in the new Jeep Wrangler JK Unlimited. 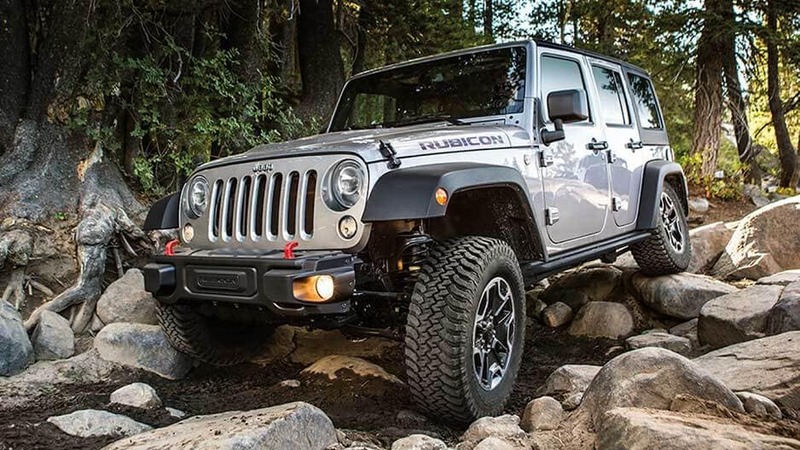 Designed to tackle the great outdoors, the new Wrangler JK Unlimited comes equipped with all-terrain tires, as well as Hill Start Assist and Hill Descent Control, to help you stay in command on steep ground. No landscape is ever off-limits in this off-roading beast. No matter where the road takes you, you can rely on the new Jeep Wrangler JK Unlimited to help you find your way back home, thanks to the Uconnect® with Navigation multimedia system. As you’re exploring off the beaten path, plug your mobile device in to stream your favorite tunes and let the adventure truly begin. 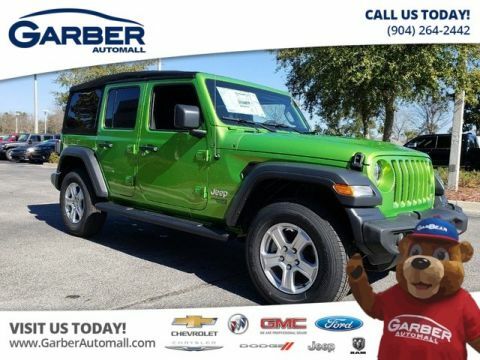 Experience the fun for yourself, by test driving the new Jeep Wrangler JK Unlimited at Garber Automall in Green Cove Springs today.